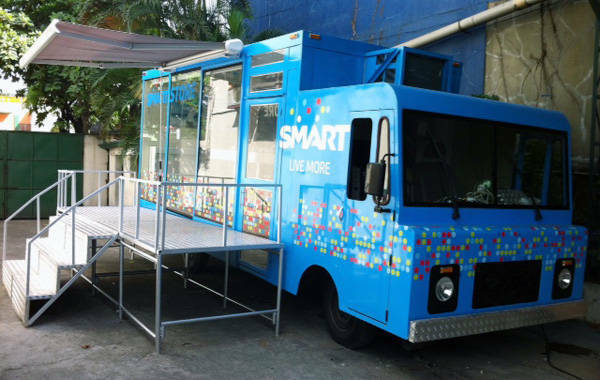 The vehicle you see above is another creation of Atoy Customs, called the Smart Store on Wheels and unveiled today by the telecommunications company to help it reach its customers more effectively outside the usual mall setting. 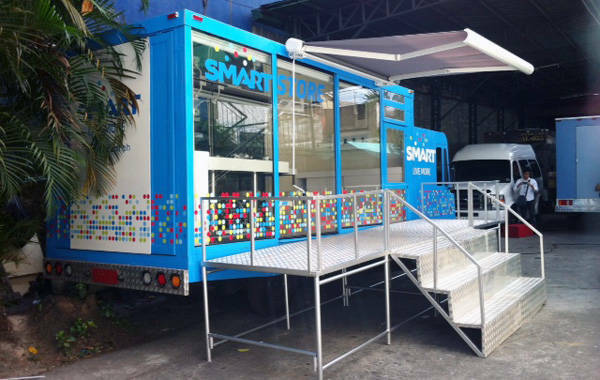 Smart claims this is the first mobile telco store in the country. "This innovation is part of our continuous expansion of service channels, to ensure that we are where our over 50 million customers need us to be, and to make sure that their needs are efficiently addressed," said Smart cofounder and chief wireless advisor Orlando Vea in a press statement. 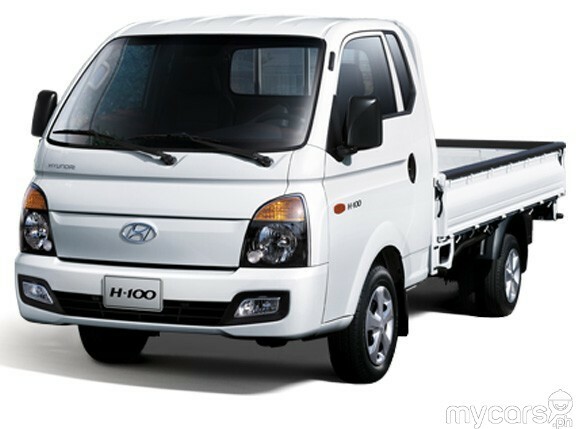 The idea for now is to deploy the Smart Store on Wheels "around the central business districts of Makati and Taguig." Smart adds that the vehicle is "WiFi-enabled and fully online, and allows our subscribers to try out the latest mobile gadgets, make inquiries, buy devices, and learn what's new with Smart." This project aims to complement Smart's network of 100 stores and over 50 accredited sales centers nationwide. It could also be a clear signal that companies need to be increasingly mobile in a world where consumers want products and services delivered to them. Such a spoiled generation.